I was wondering when we’d meet a Muffin! This little guy looks a bit like a Marty mini-me, don’t you think? 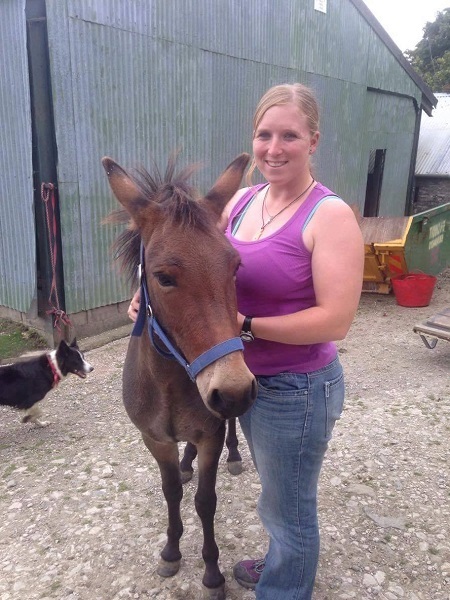 He lives in Wales with his human, Sarah, who runs Shoreline Trotters – providing donkeys for beach rides, birthday parties, hospice visits, weddings and more. Muffin is gorgeous and I’m so glad he’s finally found his person! All images copyright © Sarah Nethercoat. Hii! 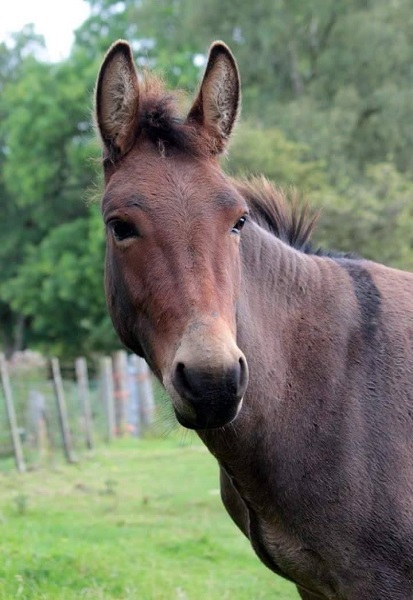 This is Muffin, my four year old mule. 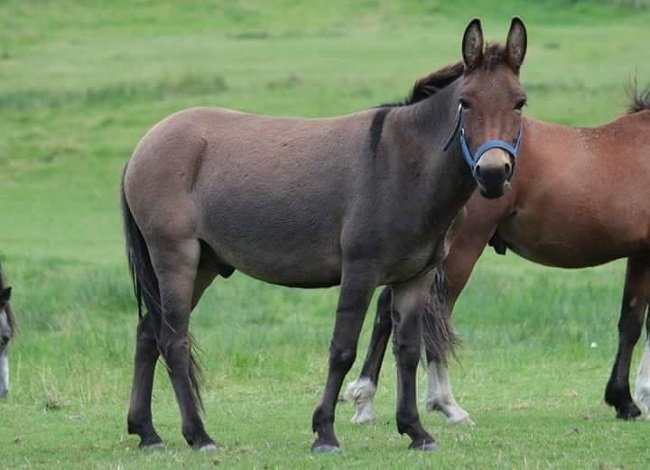 I haven’t had him long but have a large herd of donkeys and a large herd of horses so he just fits in, though he prefers the ponies over the donkeys. My partner took me on a secret trip to go and collect him. His farrier had seen him a few days before and knew he was off to slaughter as he was unwanted. My partner quickly got in touch and offered him a home before anything happened to him. He was very nervous with his previous owner and we were told how he was uncatchable and unfriendly. As soon as we got him home he was cuddly and friendly and has been a sweetheart ever since. At the moment he is still entire so he is due a snip snip. I have started lunging and voice training as eventually I’d like to drive him. His first session was foot perfect … his second was a battle! He decided he didn’t like lunging second time as he’d already done it. I think so far the best story is still how my partner got him. The difference in him from his old home to new home was black and white. He’s been a little star. I think it’s to try and find out how they work. 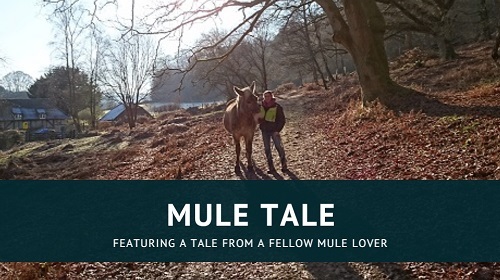 I have trained both horses and donkeys separately for years but he is my first mule. 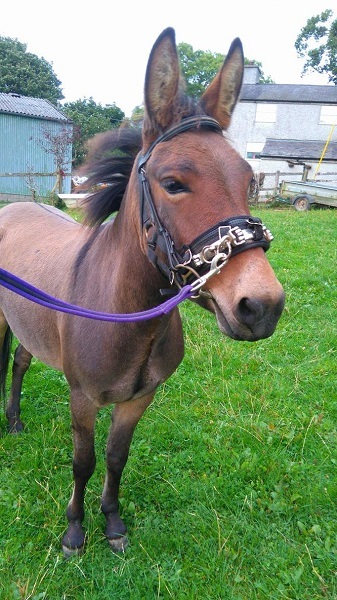 Initially I treated him as a donkey and turned him out with them, he was very unhappy and confused. As soon as I put him with the colts and boys he settled and was so much happier. 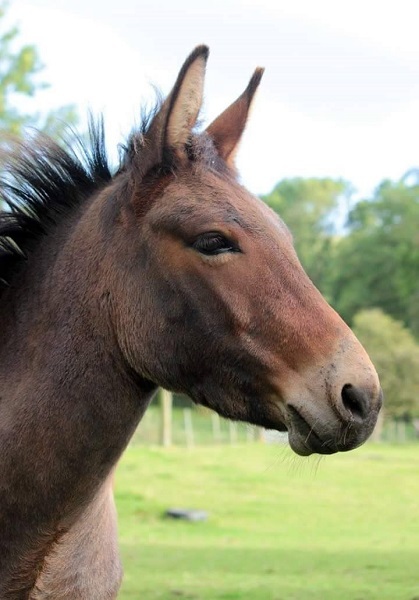 My boy is more pony then donkey and I’m sure other mules will be opposite. I therefore have to also find a hybrid way of training. I ask him to work the same as a pony but when things aren’t going too well I use the patience and persistence I would use with the donkeys. I don’t show any reaction, just repeat and wait until I get a good response to a question, then reward. It has resulted in a lot of rope burns but has kept everything positive (for him, not my hands! ).